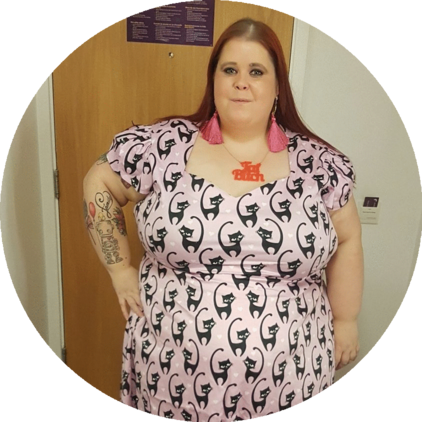 On the week leading up to the 14th September I heard about the Evans 'Curvy Street Style' event that was being held that Saturday. As I haven't been to their Marble Arch flagship store for ages I thought it would be a good opportunity to kill two birds with one stone. When I got to the event I was greeted by two ladies straight away. 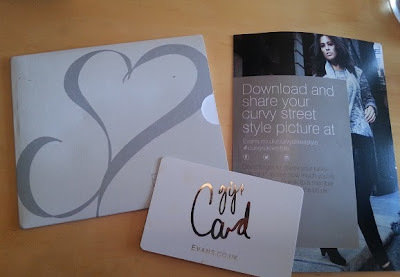 The lovely ladies explained that every customer had their chance to have their photo taken by a professional photographer that day and be featured on the Evans Curvy Street Style website. Of course... I could not resist having my photo taken! To say I was happy with the photo is an understatement - I love it! I went along with Lucia from U Cant Wear That and we couldn't resist having our photo taken together! People on the day were also given a gift card loaded with anything up to £100.00! Mine was worth a fiver (better than nothing!) but I hear a girl won £100.00 not long after us - congrats! Feedback I heard on the day was great - with many ladies relishing having a photo taken of them looking amazing! I'd love to see more events like this on the high street! Would you attend something like this? Hi! I'm Debz, Office working, rose drinking, pretty dress wearing, body positive warrior currently living in Birmingham. From opinionated rants about size acceptance to shopping for a bargain and from nights out to crazy online dating stories - you'll read about it all here! I love having my own little space on the web and I hope you enjoy reading it as much as I enjoy writing it! I'd love to know what you think, so leave comments & if you like what you read, feel free to give me a follow! 10 Honest Thoughts On Being Loved by a Skinny Boy! Plus Size Workwear: Is It Just a Myth? 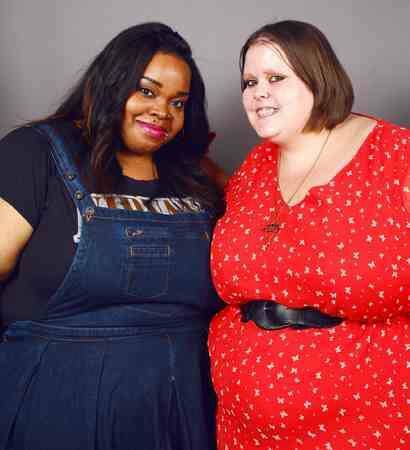 Fat Women Real Talk - Cosmo Questions... What Being A Fat Woman Is Really Like!